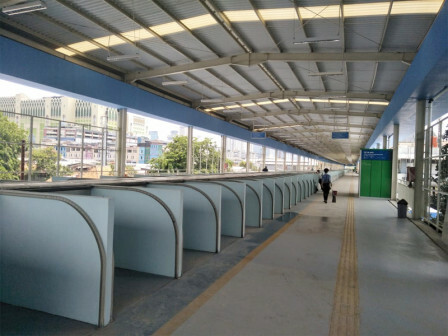 Through its subsidiary, PT Saranawisesa Properindo, PD Pembangunan Sarana Jaya conducted an operational trial for two days towards 446 kiosks at the Multipurpose Crossing Bridge (JPM) or Skybridge, Tanah Abang, Central Jakarta.
" We've got permission to PD Pembangunan Sarana Jaya to prepare it before opening"
PT Saranawisesa Properindo President Director, Prabowo stated that Tanah Abang JPM would be officially operated on December 7, 2018. "We've got permission to PD Pembangunan Sarana Jaya to prepare it before opening," he stated, Wednesday (12/5). During trial, his party carried out the administrative process while giving special IDs to the traders. Each kiosk is only enough by a maximum of two people. "All traders are tried to move to JPM," he stated.